Going along with my current theme, I will add more artwork created from the animals at the Sonoma County Wildlife Rescue. I decided to make some watercolor paintings of two of the residents. A cougar and a coyote. Now, I know they have names, but I cannot remember them. I’m sure I’ll be able to remember them in time. 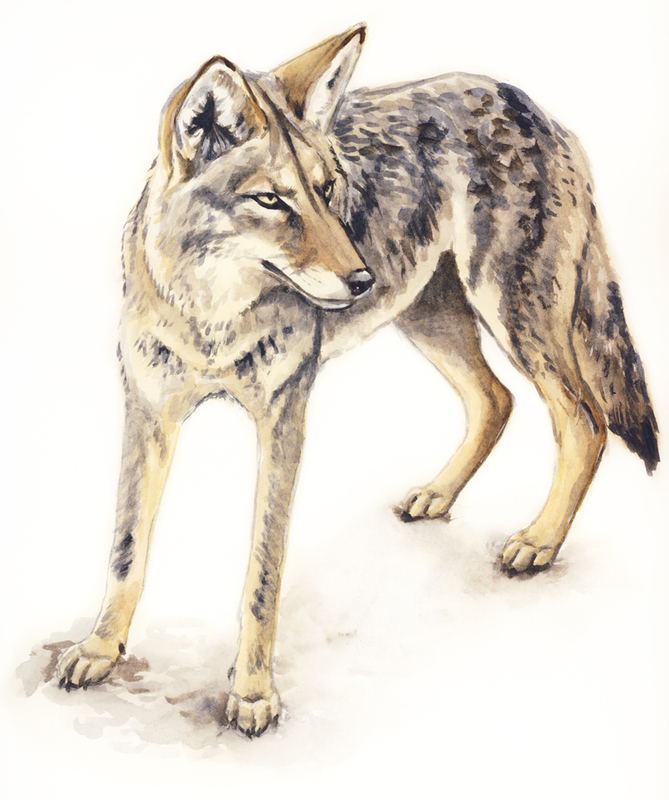 The first watercolor is of one of the coyotes. She is beautiful. One of my future illustrations will be of one of the other coyotes, Wile. Like the cartoon character Wile E. Coyote, he is quite the character. 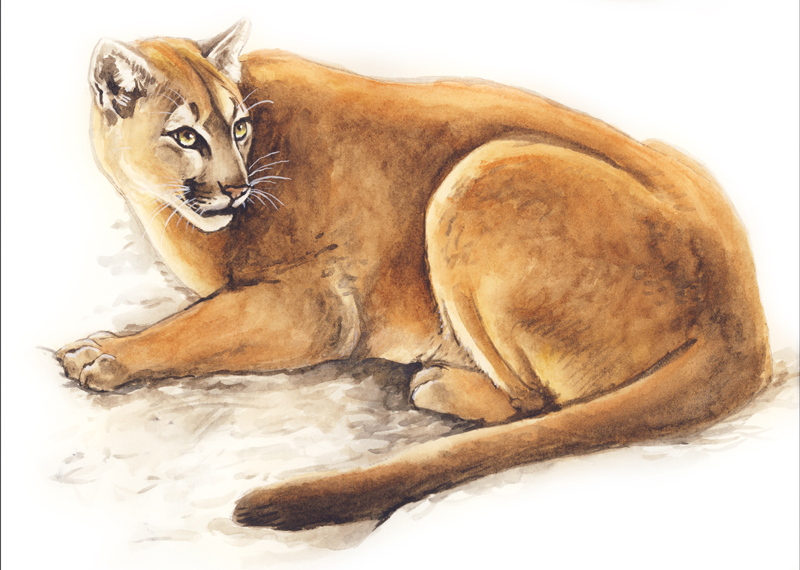 The second watercolor is of one of the cougars they have. This is the one with both front legs. The other one only has one front leg. Their story is quite a sad one. Some poachers killed their mom when they were kittens and then abused them, which is why one is missing a front leg. Very Nice. You have a talent. I would like to see more of your drawings on future posts! Both watercolors are great! Especially love the coyote because they are a special animal in my world. Do you spend a lot of time at the SC Wildlife Rescue? Do you exhibit your art locally anywhere? I think I’ve found my new favorite blog! All of these are beautiful, and I can’t believe how many different mediums you are talented in..